A low carb version of an old classic! Combine the preserves, onion soup mix and Russian dressing in a bowl. Add sweetener to taste if you want a sweeter glaze. Prepare glaze several hours or even the day ahead so that the dried onions can soften. 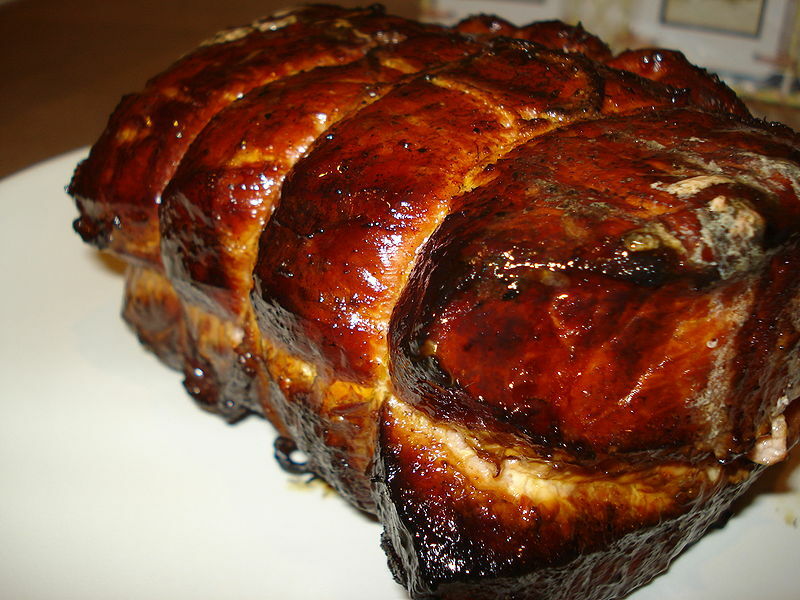 Place the pork roast in a small foil-lined baking pan. Pour the glaze over the roast. If you have time, let it site in the fridge to marinate for a few hours. 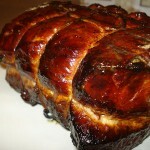 Roast at 350 degrees for 60-90 minutes or until pork is done. The internal temperature should be between 140-160 degrees.